On one hand, they’re considered an excellent and inexpensive source of protein and various nutrients. Cholesterol is a waxy substance found in food, and it’s also made by your body. A few decades ago, large studies linked high blood cholesterol to heart disease. 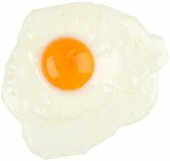 Whole eggs (with the yolks) are undeniably high in cholesterol. In fact, they’re the major source of cholesterol in most people’s diets. This is because they’ve been conditioned to associate high dietary cholesterol intake with high blood cholesterol and heart disease. That being said, just because a food is high in cholesterol, it doesn’t necessarily raise cholesterol levels in the blood. Although it may seem logical that dietary cholesterol would raise blood cholesterol levels, it usually doesn’t work that way. When you eat larger amounts of high-cholesterol foods such as eggs, your liver simply starts producing less cholesterol (3, 4). Because of this, blood cholesterol levels don’t change significantly in most people when they eat more cholesterol from foods (5). Used to produce vitamin D.
Produces steroid hormones like estrogen, progesterone and testosterone. Produces bile acids, which help digest fat. Last but not least, cholesterol is found in every single cell membrane in your body. Without it, humans wouldn’t exist. 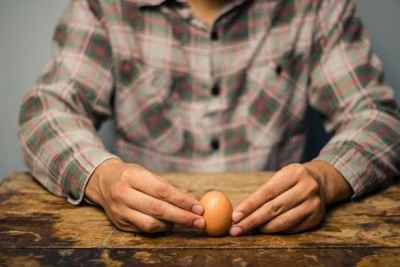 Studies show that eating 1–2 whole eggs per day doesn’t seem to change cholesterol levels or heart disease risk factors (6, 7, 8). What’s more, consuming eggs as part of a low-carb diet improves markers of heart disease in people with insulin resistance or type 2 diabetes. This includes the size and shape of LDL particles (9, 10, 11). One study followed pre-diabetics who were on a carb-restricted diet. Those who consumed whole eggs experienced better insulin sensitivity and greater improvements in heart health markers than those who ate egg whites (10). In another study, pre-diabetic people on low-carb diets ate 3 eggs per day for 12 weeks. They had fewer inflammatory markers than those who consumed an egg substitute on an otherwise identical diet (11). Although LDL (“bad”) cholesterol tends to stay the same or increase only slightly when you eat eggs, HDL (“good”) cholesterol typically increases (10, 12, 13). In addition, eating omega-3 enriched eggs may help lower triglyceride levels (14, 15). One study followed 32 people with heart disease. They experienced no negative effects on heart health after consuming 2 whole eggs every day for 12 weeks (16). To top things off, a review of 17 observational studies with a total of 263,938 people found no association between egg consumption and heart disease or stroke (17). A review of two studies involving more than 50,000 adults found that those consuming at least one egg daily were more likely to develop type 2 diabetes than people who ate less than one egg per week (18). A second study in women found an association between high dietary cholesterol intake and increased diabetes risk, but not specifically for eggs (19). The large observational study mentioned above that found no link between heart attacks and strokes did actually find a 54% increased risk of heart disease when they only looked at people with diabetes (17). However, it’s important to keep in mind that these are observational studies based on self-reported food intake. 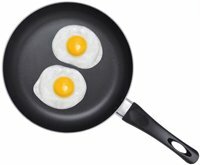 They only show an association between egg consumption and an increased likelihood of developing diabetes, these types of studies can not prove that the eggs caused anything. In addition, these studies don’t tell us what else the people who developed diabetes were eating, how much exercise they did or what other risk factors they had. In one study, people with diabetes who consumed a high-protein, high-cholesterol diet containing 2 eggs per day experienced reductions in fasting blood sugar, insulin and blood pressure, along with an increase in HDL cholesterol (20). Other studies link egg consumption with improvements in insulin sensitivity and reduced inflammation in people with prediabetes and diabetes (10, 21). Bottom Line: The studies on eggs and diabetes have mixed results. Several observational studies show an increased risk of type 2 diabetes, while controlled trials show an improvement in various health markers. Although eggs pose no risk to health in most people, it’s been suggested that those with certain genetic traits may be different. However, there isn’t a lot of research on this. People who carry a gene known as ApoE4 have an increased risk of high cholesterol, heart disease, type 2 diabetes and Alzheimer’s disease (22, 23). An observational study of more than 1,000 men found no association between high egg or cholesterol intake and heart disease risk in ApoE4 carriers (24). A controlled study followed people with normal cholesterol levels. A high egg intake, or 750 mg of cholesterol per day, increased total and LDL cholesterol levels in ApoE4 carriers more than twice as much as in people without the gene (25). However, these people were eating about 3.5 eggs every day for three weeks. It’s possible that eating 1 or 2 eggs may have caused less dramatic changes. It’s also possible that the increased cholesterol levels in response to high egg intake are temporary. One study found that when ApoE4 carriers with normal cholesterol experienced higher blood cholesterol levels in response to a high-cholesterol diet, their bodies began producing less cholesterol to compensate (26). A genetic condition known as familial hypercholesterolemia is characterized by very high blood cholesterol levels and an increased risk of heart disease (27). A number of people are considered “hyper-responders” to dietary cholesterol. This means that their blood cholesterol levels increase when they eat more cholesterol. Often both HDL and LDL cholesterol levels increase in this group of people when they consume eggs or other high-cholesterol foods (28, 29). However, some studies report that LDL and total cholesterol went up significantly in hyper-responders who increased their egg intake, but HDL was stable (30, 31). What’s more, hyper-responders may absorb more of the antioxidants located in the yellow pigment of egg yolk. These can benefit eye and heart health (33). Then there are many other nutrients in there in smaller amounts. In fact, eggs contain a little bit of almost everything the human body needs. Help keep you full: Several studies show that eggs promote fullness and help control hunger so you eat less at your next meal (34, 35, 36). 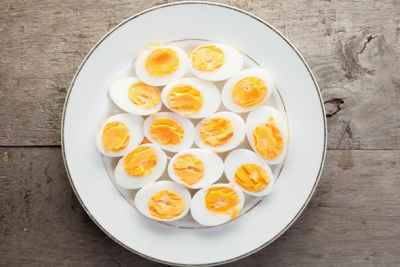 Promote weight loss: The high-quality protein in eggs increases metabolic rate and can help you lose weight (37, 38, 39). 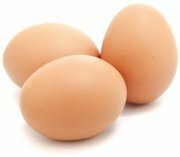 Protect brain health: Eggs are an excellent source of choline, which is important for your brain (40, 41). Reduce eye disease risk: The lutein and zeaxanthin in eggs help protect against the eye diseases cataracts and macular degeneration (13, 42, 43). Decrease inflammation: Eggs may reduce inflammation, which is linked to various diseases (11, 20). In most cases, they do not increase cholesterol levels much. Even when they do, they often increase HDL (the “good”) cholesterol and modify the shape and size of LDL in a way that reduces disease risk.